I had done everything my doctors told me to do. But it was progressively getting worse. My dreams of becoming a doctor were slipping away. When they said “it was probably in my head” and “I would have to live with it.” I thought, there has to be an answer. Growing up I was fascinated by teeth, especially how an orthodontist was able to straighten them. My high school career counselor determined that I would be good “working with my hands.” So, dentistry it was! But, a skiing accident altered those plans. Pain, numbness, health issues, not being able to exercise or play sports are not normal in a 20 year-old. For two solid years, I did what the doctors told me to do. The drugs didn’t work, the therapies didn’t work, and there was no guarantee the surgery would work either. The orthodontist I was working for suggested I visit his chiropractor. My brilliant orthopedic and neurology doctors advised against it. I decided to give it a try. Within a few visits my body in control again! No pain, no numbness no nothing! Not only did chiropractic save my life, it changed it forever! So, chiropractic it was! Once I decided to become a chiropractor, I couldn’t get there fast enough. As much as I enjoyed biology, chemistry, physics, anatomy and physiology, the study of the human body through chiropractic made everything come alive! There were many professors to whom I credit for my specific interests. Most of them were medically trained physicians who chose to teach at a chiropractic school because of personal experience. Which meant that medicine and surgery was an option, but not the only option. I was lucky to marry my best friend Jennifer, and we have three amazing children (all born at home). We are very involved in our kids lives. They attend Waldorf School and my wife and I volunteer there. We actually enjoy hanging out together, whether its at home or at our cabin near Tahoe, we play all the time. This is one reason why I love Mondays. I get to come to work where its quiet. My wife and I met while in college. When I took her home to meet my parents, my dad said “she was the spitting image of her mother.” Which she is, “how do you know what my mother looks like?” she asked. Turns out Jen’s dad worked for my dad when he got out of college. We kind knew then we were supposed to be together. I get adjusted at least once a week to maintain my healthy nervous system. I love to run, hike, climb, swim, golf, fish and take naps. But because I have three kids, I rarely get to do any of those things consistently. My kids weren’t vaccinated because I’ve met children damaged by vaccinations. We eat very healthy (mostly organic) and don’t take drugs. 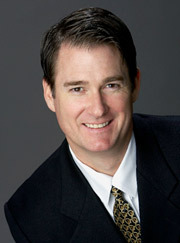 Dr. West is committed to helping you be well and looks forward to meeting you. Contact ACME Chiropractic today to make an appointment.